As a part of his pro-English strategy, Pickles has also targeted the translation of government materials. In 2013, he ordered local councils to stop automatically translating their information leaflets, posters, and other materials into foreign languages, saying that while the councils have a legal duty under equalities legislation not to discriminate, that duty does not include an obligation to translate documents into a foreign language. Pickles claimed that providing full and free translations of government information harms the integration of immigrants by reducing their incentive to learn English. He also stopped translation inside his own department—the Department for Communities and Local Government—putting undeniable force behind his rhetoric. Recently, Pickles’s views on the importance of English have gained some serious traction. On January 18, the Daily Mail reported that Prime Minister David Cameron “intends to stop printing welfare paperwork in foreign languages and prevent claimants [from] using taxpayer-funded translators at benefits offices.” Currently the U.K.’s benefits offices deal in 140 different languages, providing documents in foreign languages and translator services for those who need them. Pickles and Cameron’s move to eliminate these services is controversial, as it would make it more difficult for immigrants to access the U.K.’s benefits system. As the prototypical “melting pot” of the world, the United States has a substantial number of foreign language speakers, including over 34 million Spanish speakers alone. This number has increased by 210% since 1980, with the highest concentrations in Los Angeles, New York, Miami, and Chicago. More generally, California, New York, Texas, and Florida are among the states with the largest immigrant populations. Why hasn’t the language debate in the U.S. focused as much on incentivizing non-citizens to learn English through, for example, the measures to be proposed by Prime Minister David Cameron? It is likely because the policy behind coercing non-citizens to learn English doesn’t hold water. While an argument can be made in the U.S. or U.K. that in return for gaining the rights and benefits of citizenship, one should be expected to be a well-assimilated member of society who can speak, write, and understand English, there is a much weaker rationale for requiring English proficiency for non-citizens. By withdrawing what the U.K. has long offered its noncitizens—i.e. free translation services—Eric Pickles seeks to force-assimilate all immigrants regardless of whether they wish to be citizens. While assimilation may be a desirable result for some non-citizens, it may not be for others. Moreover, even for those non-citizens who would benefit from assimilation, there is still a serious cost. Learning English does not come quickly, and the immediate effects of Pickles’s policy could be quite dire. Being unable to apply for welfare benefits would likely have a severe impact on the immigrants that Pickles, himself, has recognized are financially struggling. With translation services taken out of government agencies, immigrants who cannot understand English could find it nearly impossible to utilize government services. While his intention may be good, Eric Pickles’s project would effectively lower the bar on what services the U.K. government could make accessible to its non-citizen residents. What Pickles proposes as a way of avoiding the formation of a sub-class of struggling immigrants very well could exacerbate the problem. While not directly affecting non-citizen residents’ rights to government services, taking away translation services makes access to those services nearly impossible. Thus, even if the true intent of the proposed policy is to help immigrants find success in the U.K., this roundabout method is far from achieving that goal. Citation: Yujin Chun, English for the English: Immigration and Language in Britain, 1 Cornell Int’l L.J. Online 168 (2014). See, e.g., Peter Dominiczak, Eric Pickles: Immigrants Who Don’t Learn English ‘Can’t Participate in Society’, Telegraph (Jan. 19, 2014), http://www.telegraph.co.uk/news/uknews/immigration/10582413/Eric-Pickles-Immigrants-who-dont-learn-English-cant-participate-in-society.html; Immigrants Who Can’t Speak English Are “Not Full Members of British Society,’ Says Tory MP Eric Pickles, Metro News (Jan. 19, 2014), http://metro.co.uk/2014/01/19/immigrants-who-cant-speak-english-are-not-full-members-of-british-society-says-tory-mp-eric-pickles-4268771/; Tim Sculthorpe, Non-English Speakers May Lose Benefits, Says Eric Pickles, Independent (Jan. 19, 2014), http://www.independent.co.uk/news/uk/politics/nonenglish-speakers-may-lose-benefits-says-eric-pickles-9070711.html; Eric Pickles: Immigrants Who Can’t Speak English Could Lose Benefits, Huff. Post (Jan. 19, 2014), http://www.huffingtonpost.co.uk/2014/01/19/eric-pickles-immigrants_n_4627053.html. Nicholas Watt, Eric Pickles Warns of Non-English-Speaking ‘Sub-Class’ in UK, Guardian (Mar. 8, 2012), http://www.theguardian.com/politics/2012/mar/08/eric-pickles-english-sub-class; Eric Pickles: Immigrants Must Speak English ‘Like a Native’, Huff. Post (Sept. 3, 2012), http://www.huffingtonpost.co.uk/2012/03/09/eric-pickles-immigrants-must-speak-english-like-a-native_n_1334032.html. Alan Travis, Eric Pickles: Councils Must Cut Back on Foreign Language Materials, Guardian (Mar. 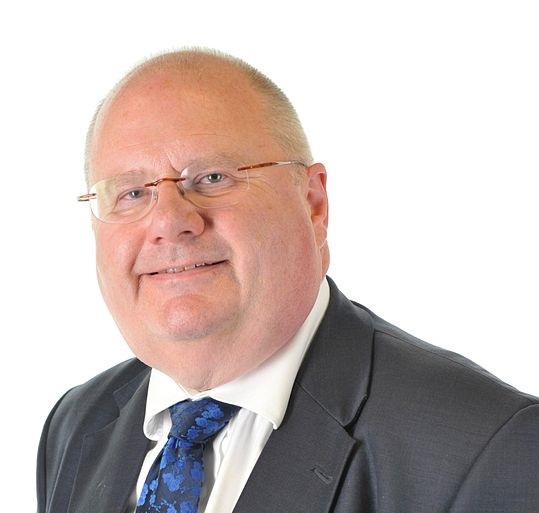 12, 2013), http://www.theguardian.com/politics/2013/mar/12/eric-pickles-councils-foreign-languages. Simon Walters, Speak English or Lose Benefits: Cameron to Stop Payouts to Immigrants Who Use Taxpayer-Funded Translators, Mail Online (Jan. 18, 2014), http://www.dailymail.co.uk/news/article-2541892/Speak-English-lose-benefits-Cameron-stop-payouts-immigrants-use-taxpayer-funded-translators.html. The 10 Most Popular Languages in the US, Accredited Language Services, http://www.alsintl.com/blog/top-10-languages/ (last visited Feb. 6, 2014). Steven A. Camarota, Center for Immigration, Immigrants in the United States: A Profile of America’s Foreign-Born Population 13 (2012). State Numbers, Immigrants in the United States, 2010: A Profile of America’s Foreign-Born Population, Center for Immigration Studies, http://www.cis.org/2012-profile-of-americas-foreign-born-population. See, e.g., El IRS en Español, Internal Revenue Service, http://www.irs.gov/Spanish (last updated Feb. 3, 2014). See generally Audrey Daly, How to Speak American: In Search of the Real Meaning of “Meaningful Access” to Government Services for Language Minorities, 110 Penn St. L. Rev. 1005, 1018–29 (2006). Title VI of the Civil Rights Act of 1964 prohibits federal agencies from discriminating based on national origin. See 42 U.S.C. § 2000d. In accordance with regulations promulgated under the Act, federal agencies may not “utilize criteria or methods of administration which have the effect of subjecting individuals to discrimination because of their . . . national origin.” 28 C.F.R. 42.104(b)(2). See also Daly, supra at 1019. To supplement these rules and prevent discrimination under Title VI, in 2000 President Clinton issued Executive Order 13,166, which requires federal agencies to implement reasonable affirmative measures to provide meaningful access to individuals with limited English proficiency. See id. at 1020. Jeffrey M. Jones, Most in U.S. Say It’s Essential That Immigrants Learn English, Gallup Politics (Aug. 9, 2013), http://www.gallup.com/poll/163895/say-essential-immigrants-learn-english.aspx. See also Majority of Americans Want Immigrants to Learn English, Poll Says, Huff. Post (Aug. 9, 2013), http://www.huffingtonpost.com/2013/08/09/immigrants-learn-english_n_3733140.html. Havovi Cooper, Pro: Language Skills Equal Success in Immigrants Should Learn English, Bloomberg Businessweek (July 30, 2013), http://www.businessweek.com/debateroom/archives/2008/08/immigrants_should_learn_english.html. Jacob Stokes, Con: Why Make Unnecessary Demands? in Immigrants Should Learn English, Bloomberg Businessweek (July 30, 2013), http://www.businessweek.com/debateroom/archives/2008/08/immigrants_should_learn_english.html. See, e.g., Helene C. Colin, No Hablo Ingles: Waivers to the English Language Requirement for Naturalization, 37 Cal. W. Int’l L.J. 329 (2007); Pam Swanson, Es Dificil Aprender Ingles: Expanding the English-Language Waiver to Allow Elderly Immigrants to Naturalize, 19 Elder L.J. 449 (2012); Leah Sullivan, Press One for English: To Form A More Perfect Union, 50 S. Tex. L. Rev. 589 (2009). Of course, another important issue that is hotly debated in the U.S. is whether non-citizens should be eligible for state benefits, like welfare. See, e.g., Michael Fix & Ron Haskins, Welfare Benefits for Non-Citizens, Brookings Inst. (Feb. 2001), http://www.brookings.edu/research/papers/2002/02/02immigration-fix. However, that debate is distinct from the debate over providing translations for non-English speakers because it turns on citizenship status, not language.